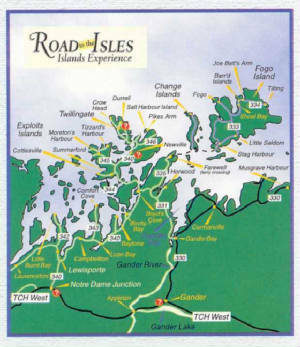 Twillingate is located on Route 340, The Road to the Isle. There is a Vistor's Information Centre at the Lewisporte Junction on Route 1 and in the community of Newville on Route 340. From western Newfoundland exit Route 340 at Lewisporte Junction. 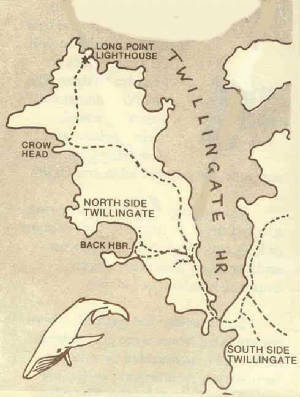 Lewisporte to Twillingate is 85 km. From eastern Newfoundland exit Route 330 at Gander then exit Route 331. Gander to Twillingate is 100 km.